One of the most frightening things that can happen for a pet owner is to find their pet sick or injured unexpectedly. If it is a weekend or after business hours when your local vet can’t be reached, it can be even more upsetting. Knowing when you need to contact an emergency vet, and when you can wait it out until your local vet opens can sometimes mean life or death for your pet. The following instructions and tips are directly from the vets at Animal Care Clinic and other sources they trust. These instructions can help you determine the best course of action for your pet when you discover injury or illness. Current clients will receive a credit for this cost. Small or young dogs that are under 5 pounds or elderly animals are more delicate and symptoms should be taken seriously. If any of the following symptoms apply to your pet, an immediate emergency clinic call is not required, however a vet call needs to be made within 24 hours. If the cat allows you to you can flush it with sterile saline. It is a good idea to have these wounds attended so the vet can determine if the cat is running a fever or if the infection needs antibiotics. Bright red flecks on the outside of stool is not an immediate emergency. At home, withhold food in otherwise normal pets for 12 hours (unless a very small animal) then feed boiled rice in small meals until a vet can be seen. Black tarry stool or lots of bright red blood or associated vomiting is an emergency. Clean with sterile saline and apply pressure, wrapping the ear next to the head and applying a bandage is the best way to protect your house from splatter. An ear infection is an emergency when your pet is in pain, you cannot touch or look in your dog’s ear, the ear is red and swollen, and/or your dog has a head tilt. 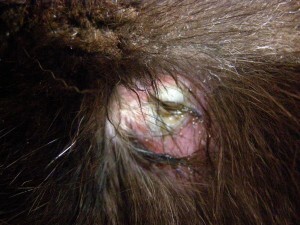 All ear infections should be examined and treated by a veterinarian. The eye ball is healthy and clear, just around the eye is red and maybe a little swollen. 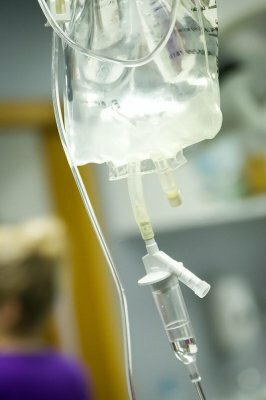 Try rinsing with sterile saline. If the redness continues or the pet is pawing at the eye, squinting or there is a cloudiness to the eye ball, seek veterinary attention. Is not an emergency unless you feel you pet is overly painful. First aid: a one-time emergency treatment that gets your pet over the life threatening event long enough to get the necessary medical help.